Olney doc muses: 'I fear me this-is Loneliness'.....Emily Dickinson. 'I fear me this-is Loneliness'.....Emily Dickinson. She was a pretty single 42 year old lady and had spent Christmas Day, and the next 3 days entirely on her own. Just one brief phone call to her father on Christmas Day "when he was quite belligerent", was all the human contact she'd had through the season of goodwill. Joy (not her real name) was talking to me the other day about her longstanding low grade depression. When asked how she had been over Christmas her eyes moistend and it took a while for her to tell me. Fortunately her mood has picked up since then and she is trying to do her best to socialise in the new year. How my priorities have changed as I've got older as a GP. When I started I was mainly concerned with what medical diagnosis I might be missing and what the best antibiotic might be for my patient, and yet the 'softer' subject of loneliness, poor sleep and lack of exercise now increasingly occupy my thinking when I'm trying to find a helpful way forward for the patient. 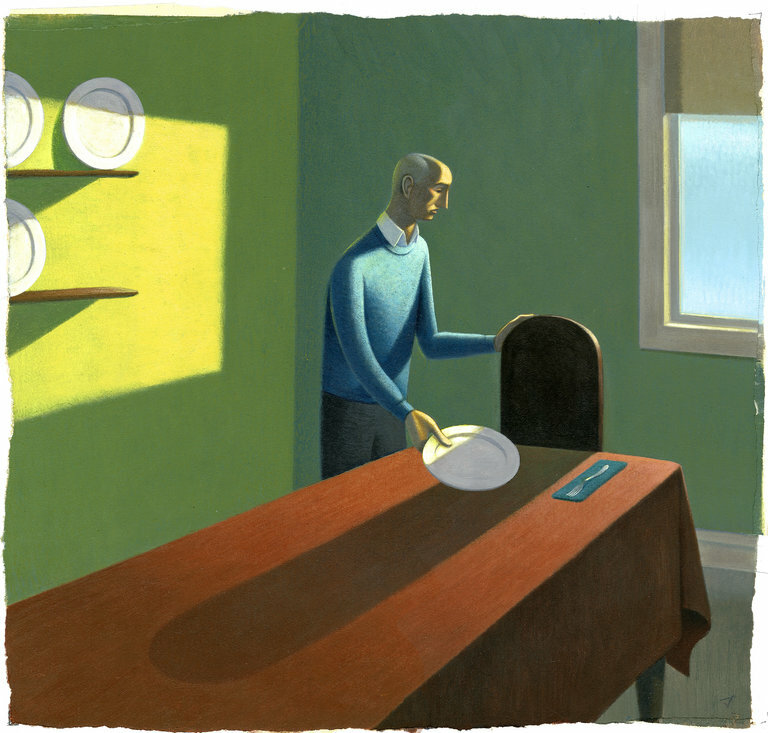 A recent very helpful article in the NY Times (which is very positive about the UK and the seriousness with which we are taking the problem of loneliness), points out the detrimental effect on general health that loneliness can have. So what to do about loneliness? Just a few random thoughts. 1. Admit that it is a problem, but not a weakness, in other words don't feel weak or embarrassed to admit it. Yes it may partly be self inflicted, but dysfunctional families (for which you cannot be held responsible), and bereavement, may have contributed. 2. Prevention is better than cure. Do your best to be welcome people into your home however humble it may seem to be to you. To my mother's great credit she was inviting various people of all ages, round for cups of tea +/- cake right until her death at 84 years. 3. Be friendly. Sounds trite, but to have friends you have to be friendly. Think about Tim Keller's definition of friendship, a true friend, 'always lets you in and never lets you down'. You do have to 'let people in'. 3. Try to cultivate friendships across the age spectrum. I think this is particularly important for those of us who might be vulnerable to loneliness in old age. There are a variety of ways of cultivating this, from joining interest clubs such as photography groups, or book clubs, to social gatherings like churches or political parties. 4. Contact support groups that exist to help the lonely such as the Campaign to end loneliness, there are some fabulous resources here. 5. Can you reach out to someone else who might be lonely? Maybe a neighbour or old school friend. I think at all costs we need to avoid the victim mentality that assumes that my problem is someone else's responsibility. Of course if we are severely depressed and we just cannot raise the enthusiasm, then the the oft repeated refrain of 'go and chat to your GP" might be appropriate-if for nothing else, to exclude depression. I'm not one of those GPs who think loneliness is not my concern. I might not be able to directly help, but I would hope that the GP can at least support you in accessing help, and if appropriate prescribing for you. If you're not lonely, give thanks God and perhaps reach out to someone else who is.